As many of you will have seen by now, the current issue of Uncut features our Top 75 albums of 2012 and, as usual, there’s been a fair amount of comment online about the list. I’m going to try not to be too defensive about this, but as the person who compiled the list, I thought it might be useful to post a few notes that’ll hopefully clarify one or two issues that have been raised. First off, I say compiled, but the Uncut chart is actually a straightforward vote, with 45 of the magazine’s staff and writers contributing. This year, they submitted Top 20s, and I allocated 20 points to their top album and, yep, one point to their Number 20. Leonard Cohen ended up with 167 points, Carter Tutti Void with 31. I wouldn’t presume to guess how some other mags compile their charts, but this is the way I’ve handled the job at Uncut for the past few years. Second, I understand and appreciate that it’s frustrating to see end-of-year charts appear at the end of November, with the chance that one or two late releases won’t make the cut (I guess, this year, Scott Walker’s “Bish Bosch” is probably an auspicious absentee in the Uncut rundown). I would say, though, that thanks to advance promos received by most of Uncut’s writers, we do tend to cover off most of these records – and also, that I suspect most readers would prefer a slightly compromised list in the pre-Christmas issue rather than the post-Christmas one. It’s a publishing expediency, of course – everyone does it – and I imagine we’d worry about list fatigue if we published our chart so much later than everyone else. I’m actually carrying out a small experiment at the moment, asking our writers to resubmit lists of their favourite albums of 2011, to see how much their thoughts have changed in the intervening 12 months, and to gauge the impact of those end-of-year releases (last year, the Black Keys’ “El Camino” may have been the most significant). 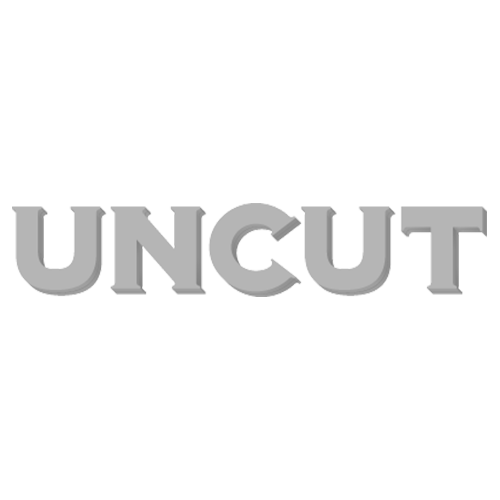 I’ll publish the reconfigured Top 50 in the next issue of Uncut: should be interesting reading. As for the constitution of our chart this year, I agree that it is rather bizarre so many of the top albums are by artists of pensionable age: six, I think, out of the Top 10. To make clear, this isn’t the result of some editorial policy, merely the outcome of our voting. Perhaps 2012 saw a lot of what might be termed heritage artists releasing albums – though not all of them (John Cale, ZZ Top and The Beach Boys spring to mind) made the list – compared with 2011. In the 2011 Top 50, the comparable artists are much fewer – Tom Waits, Ry Cooder, Paul Simon, Gil Scott Heron, Kate Bush – which I suspect is attributable to release patterns rather than any conscious change of policy on the part of the writers or Uncut in general. There’s also, I think, a bit of a shortage of newer bands this year who enjoy something approaching consensual approval from our varied writers. Nevertheless, it’s still worth pointing out that artists like Ty Segall, Grimes, Sharon Van Etten, Frank Ocean, Julia Holter, The Allah-Las, Alabama Shakes and so on did do pretty well here; in fact, I’d estimate that around 30 of the 75 records were made by artists more or less under 30, which hardly suggests we’re ignoring younger talent, or indeed that younger talent making the music Uncut cares about is drying up in some way. I guess what I’m proudest about, with regards to this year’s list, is that it reinforces – very, very forcefully, it’s true – a core belief that many of us here share: namely that it’s wrong to assume that there is a ‘right’ time for musicians to stop releasing their music; that notions of diminishing powers and so forth are crude generalisations, and ones that we don’t automatically attach to actors, directors, writers. If Uncut’s Top 75 is extreme in that direction, it’s no more extreme than, say, the 2012 Mercury shortlist: a competition allegedly for the best British album of the year, which assiduously seemed to focus on new artists and debut albums (only Richard Hawley could in any way be considered a grizzled vet in that company). Much of the music business’ energies are channelled towards launching new artists, which is understandable enough and, undoubtedly, can be an exciting way of consuming music. But it can also be chronically short-termist, and disdainful of the way many people engage with artists, and the way many artists develop and sustain careers. If this year’s Uncut list stands as an implicit rejection of that impatience, then that’s fine by me. Feel free to disagree, of course. Please use the Facebook comments box below, and I’ll try to keep involved in the debate. For what it’s worth, I’ll also be posting a long list of my 2012 favourites here in the next week or so. Thanks.